When I first contemplated this project I had some strong beliefs about Israel and I have not changed them. I am sympathetic to the BDS program and believe the Israeli settlements on the west bank are unnecessarily provocative and likely disastrously counter-productive. However we should never put up barriers to ideas. I think of films as ideas and I was surprised at how open minded Israeli films can be--let us not close that opening to better understanding. Some of the movies mentioned would reflect the views of the boycotters. Hebrew was mainly a language used only for religious services and not spoken by many people before the nineteenth century. Yiddish was common, but considered a slang language. Jews started returning to their ancient land in the 1800's and sought a common language with Hebrew being the obvious choice. Zionists in Europe also saw a need to adopt Hebrew and encouraged schools and forced themselves to learn it. Film is just one avenue to help establish the language. Israel is considered a liberal country and to my amazement it is demonstrated in the films I was able to watch. But there is controversy. Israeli films are split between Hebrew and Arabic and often combining both. There are four film funds in Israel that help finance movies and they have financed a number of controversial choices. Suha Arraf who considers herself a Palestinian received some financing from the Israel Film Fund and then entered her film "Villa Toume" to the Venice Film Festival in 2014 stating that it was a Palestinian film. The financers asked for their money back and another fund wanted to make it a requirement that films be described from Israel. Others feel political pressures should be resisted. My local library carried a number of Israeli films in both languages. I wanted to see if there was any understanding between the Arabs and the Jews. The films for the most part display a reality of Jews not trusting Arabs and vice versa, but also show that it is possible to overcome the barriers. My hope is that more of that happens in the future. "Exodus" made a very strong impression on me as a youngster and I later read the book. It gave me great admiration for the Israelis and in fact without realizing it Zionists were my heroes. I became a Paul Newman fan as well. In fact, past my university days I described this as my favorite movie. Another earlier perspective on Israel came from Chaim Topol who in 2015 was awarded a lifetime achievement award by Israel. Best known as Teyve in "Fiddler on the Roof" on both stage (over 3,000 performances) and film. Born in Tel Aviv he became involved with theatre while in the Israeli army in the 1950's. Topol got attention in "Salleh" (not seen) which became the top Israeli box office success for its time and got attention of Americans. He was included in "Cast A Giant Shadow," (not seen yet). Went onto do other films and on stage. I have also seen a number of Holocaust related films pretty well every year making me aware that the Jews suffered like no other group. Some I recall are "The Boy in the Striped Pyjamas," "Sarah's Key," "The Counterfeiters," "Ida," "The Book Thief," "The Black Book" and "Twin Sisters" and many more earlier. My views started to widen when Hiam Abass got my attention in an American movie, "The Visitor" causing me to look up other movies she was in. 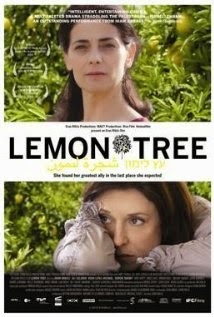 "The Syrian Bride," "Lemon Tree" and "Disengagement" all demonstrated an Arab perspective. She apparently lives in France where she has done French movies, but is often used in films with a Mid-East element and has done other English language films. Check out more of her career: https://bit.ly/2RKHkEc She is co-directing a film with Joseph Cedar, "Jerusalem I Love You"
Another perspective developed when "Footnote" was nominated for Best Foreign Language Oscar. It won a screen writing award at Cannes. It revolved around a misunderstanding on a very technical detail between two Talmudic scholars. It just happened to be a father and son who were estranged. This was my first viewing of Lior Askhkenazi who played the son. Directed and written by Joseph Cedar. A very good relationship story. Later I watched Lior in two other films. 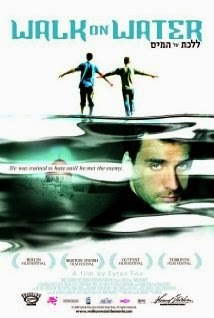 "Walk on Water" where he played an assassin who was asked to befriend the grandson of a Nazi officer. The grandson happened to be gay and befriended a Palestinian gay while visiting. Both the grandson and grand daughter were embarrassed by their Nazi connections. Their Grandfather did in fact show up for a birthday in Berlin, but the Jewish secret agent was reluctant to kill the target. I was struck by Lior's dry humour and timing although he was also deadly serious as an assassin. or a man with a troubled conscience. I then went watched him in "Rabies," Israel's first horror movie. Full of blood and guts and a little black humour. "Lebanon" came out in 2009 and was set in the 1982 Lebanon War. It is really about brutality, tense relationships and claustrophobia. It is taken from the viewpoint of an armoured tank crew with one squeamish gun man. We watch innocent people caught up in the war and a terrified Syrian prisoner We see a lot of killing, severed limbs and fear. At the actual time Israel denied using phosphorous bombs, but later admitted it and it was depicted in this movie. I had to check it out--phosphorous was used by the Americans and British in World War II and it was used in the Vietnamese War, but had become controversial because of its unusual painful results and was to be avoided in civilian areas. It was also noted that Israel was proven to have used it in the recent Gaza invasion. This film won several awards on the festival circuit. "Beaufort" was set at an army post inside Lebanon before the planned withdrawal. Soldiers feeling powerless-and often felt they were obeying orders that didn't make sense. The enemy was never shown, just the results of artillery and bombs. Directed by Joseph Cedar and also nominated for an Oscar. Joseph Cedar will be directing an English language film, "Oppenheimer's Strategies." "Operation Thunderbolt" is one of the epic stories explaining why many of us admire Israelis. An airplane was hi-jacked with many Jews on board. The kidnappers eventually transferred to the Entebbe airport in Uganda where they felt they would be safe. Israeli combat troops immediately gathered intelligence and started training. Looking back it still seems one of the most remarkable exploits of the twentieth century. 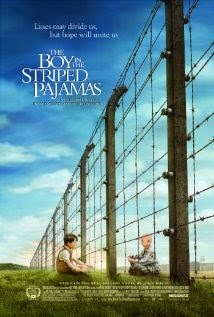 This movie helps convey the tension and the determination to rescue fellow Jews and not rely on outsiders. 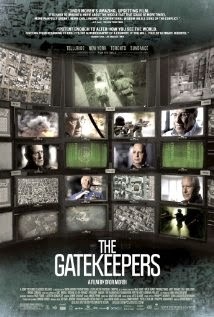 "The Gatekeepers" is a documentary that was criticized by right wing elements for its content from former security chiefs that critized the current rulers. Very frank. Nominated for best Oscar documentary feature. This was a very direct assault on current Israeli policies. "Ajami" in a subtle way pointed out that most Israeli Jews do not speak Arabic, while more Arabs do speak Hebrew (cf Canada where more francopones are bilingual than Anglopones). Another of the Arab-Israeli conflict with some caught in the middle. This one was co-written and co-directed by Scandar Copti, a Palestinian and Yaron Shani, a Jew and won attention at the Cannes Film Festival as well as an Oscar nomination. "Out in the Dark" was unique. We are all familiar with lovers of different races, religions, classes and the hoops they have to jump through and we also know gays have their own special problems, but in Israel you can top it up with Arab-Jew gay relationships. One man is Jewish, open to his family and the other is Palestinian who is in the closet at home. Blackmail and spying are the themes. "Bethlehem" is about how an Israeli security agent develops a relationship with a Palestinian through trickery. Again blackmail forces the action. A complex situation with no one all right or all wrong. "The Flat" was an uncomfortable documentary by Aron Goldsmith who learned his grandparents were close friends with a SS member before and after the war. One person pointed out that the German Nazi friend enjoyed conversing with his grand father and their wives also got along very well, even going on vacation as a foursome. Another person pointed out that the Germans wanted to get rid of the Jews and the Zionists wanted to get to Israel so there was some co-operation. "There were Nights" directed by Ron Ninio gave insights into directing theatre was mainly about a father-daughter relationship under stress and played by an actual father, daughter. "Operation Grandma" was actually from tv. Read that it is one of the funniest Israeli comedies. I think of many Jewish comedians as being subtle, but this tv production was more direct and loud. As I write this a new Israeli film debuted at the Cannes Film Festival. It has been directed, written, produced and starred in by Natalie Portman. Natalie was born in Jerusalem to Jewish parents who took her to the States. Now that she has established herself as a major star she is able to do her own projects. 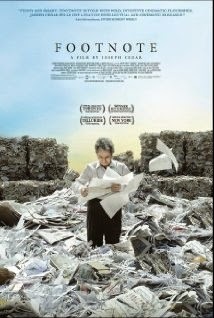 The movie is based on a biography of Amos Oz who since 1967 has been a prominent advocate for a two state solution. Also starring Makrom Khoury as Amos. Makrom a Palestinian was the first Arab to win the highest Israeli prize for artists and also appeared in the "Syrian Bride" and "The Lemon Tree." Amos Oz is a very interesting person. He supports Israel's right to defend itself and in fact participated in military action on a number of occasions. In 2011 Oz wrote to the New York Times, "Hamas is not just a terrorist organization. Hamas is an idea that grew out of desolation and frustration of many Palestinians. No idea has ever been defeated by force. To defeat an idea you have to have a better idea." He has also expressed opposition to settlements on the West Bank. His concept of two states goes further than many including Jerusalem being divided into several sections including for Eastern Orthodox and Hasidic Jewish. Israeli films will give give their own unique perspective, but there is more than just politics. There are people with a diverse viewpoint, but you will recognize the usual human dilemmas Saudi Arabia had its first feature, dealing with women, but it was done undercover with no government blessing. Iran has produced some very good movies ("Separation "deservedly won an Oscar) but lots of problems regarding censorship. Cinema is just one avenue into understanding, but only if it is open.